Touring SUPs are designed to hold plenty of gear for day-long fishing or cruising excursions. Stand-Up Paddleboarding continues to grow as a popular way for beginners and experienced paddlers alike to enjoy getting on the water. If you’re looking to join the fun and don’t know where to start, we’ll help you understand your SUP options and guide you to the right board. Beginners have lots of user-friendly design options to get started. It’s important to choose a wide and stable board until you’ve mastered the balancing act. Larger first-time paddlers will want to find a board that is compatible with their weight capacity and has more volume. The longer, thicker and wider a board is, the more volume it has. Greater volume provides more flotation and stability. However, as a general rule, the wider a board, the less maneuverable it will be in the water. Smaller and lighter riders will appreciate a more compact board within their weight capacity so it’s easier to carry but still offers stability. Experienced paddlers can handle a narrower, more responsive board. There are also maneuverable boards for wave riding, racing and touring, which we will discuss further in this article. The type of paddling activity you enjoy will also determine which board is right for you. If you’re Cruising, the most versatile of options is an all-around board. Also known as hybrid boards, they are generally thicker, wider, longer, and offer the most stability while cruising in flatwater and calm inland waters, but can also handle some chop. Cruising boards have moderate rocker, which enables them to turn more easily. 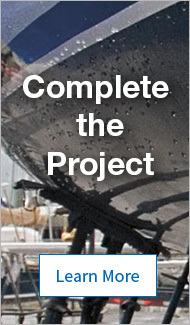 Longer displacement hulls (V-hulls) tend to go faster, which is a function of waterline length. Longer, narrower boards glide better but are tippier and more challenging for the novice. They’re directionally stable but harder to turn, because the bow and stern are immersed. All-around SUPs offer greater stability and buoyancy for a smooth, comfortable ride in a variety of conditions. If you’re interested in long distance paddling sessions, then a Touring board is for you. They are long and narrow for efficient paddling. Touring boards also have more of a displacement hull and provide better tracking. Racing on a SUP requires a nimble and efficient board. Boards built for racing are similar to touring boards but are narrower for advanced paddlers. Perhaps you’re interested in Wave Riding, then a surf-style board is an ideal choice. These boards are usually shorter, narrow at the tail and nose with an elevated rocker (upward bending of the nose and tail when laying the board flat) to help the board cut waves. They are also less stable. Interested in yoga on a SUP? The key is to get a board with a wide and stable platform. These boards also have nonskid deck pads and some models are anchor compatible. 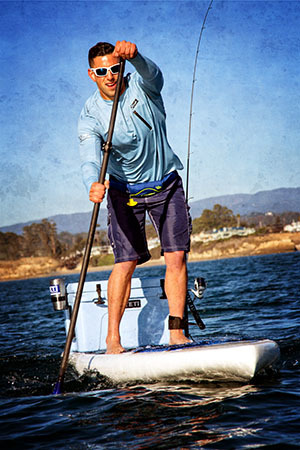 Fishing on a SUP is now easier than ever with boards made with a multitude of attachment points, and added weight capacity and volume for gear. Another consideration is to get a board that’s wide enough to keep you stable for when the fishing action ramps up. Prone Paddling is another activity on a SUP although it doesn’t involve standing. Paddlers lay on their stomach or their knees and paddle distances in racing competitions or to increase their cardio by cross-training. The exterior of rigid boards consists of either a fiberglass/polyester or a premium fiberglass/epoxy resin matrix, which is more durable and costs more. Premium elements also include esthetically pleasing wood inlays. Inflatable boards are ideal for paddlers with limited space and who need easy portability, making them perfect for city dwellers, campers and backpackers. Constructed with the same heavy-duty materials as our high-pressure-floored inflatable boats, these boards inflate to 12-15 psi and offer performance that approaches that of fiberglass boards. Wide and stable SUPs offer a great platform for practicing yoga on the water. Soft boards are made of a dense foam core wrapped in a softer foam layer on top, and hard plastic surface on the underside. They are less expensive and offer a great choice for entry-level paddlers. Serious paddlers may want to consider upgrading to a cruiser or hybrid board once they outgrow their soft SUP. Some boards are offered in packages that may include a paddle, leash, fins (which offer straight traction and balance) or board bag. Packages are great for beginners who need everything to get started. Now that you’ve found the board of your dreams, read our guide to Selecting a SUP Paddle. When you’re ready to get on the water, check out our Beginner’s Guide to Stand-Up Paddleboarding.